Systemic diseases that affect the labyrinth or eighth nerve to cause vertigo can be infectious, inflammatory, primary neoplastic, paraneoplastic, metastatic, autoimmune, or degenerative. 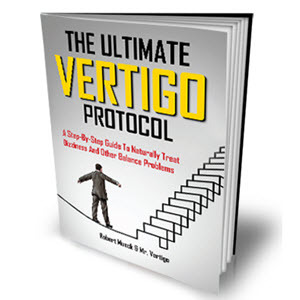 Autoimmune causes for vertigo include Cogan's syndrome (consisting of dizziness, progressive sensorineural hearing loss, and uveitis), systemic lupus erythematosus (Chapter 1) rheumatoid arthritis (Chapter 1) and steroid-responsive autoimmune hearing loss (Chapter 5). Characteristic ocular, cutaneous, and extremity findings in addition to serology are crucial to making the correct diagnosis. 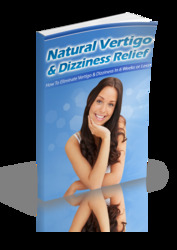 Sometimes, a neoplasm may present with vertigo or cause vertigo as a primary symptom. In most cases, the neoplasm is likely to be primary to the temporal bone or eighth nerve, such as with vestibular schwannoma, but neoplasms causing vertigo may also be a part of a systemic disease. Paraneoplastic cerebellar degeneration is the most common paraneoplastic syndrome affecting the brain. 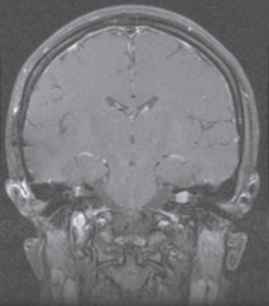 In this syndrome, anti-Yo antibodies target the Purkinje cells of the cerebellum, leaving the patient with symptoms of ataxia, headache, dysarthria, nystagmus, and vertigo. This syndrome is most commonly associated with cancer of the breast, ovary, and lung (4), and often the paraneoplastic symptoms are those that bring the patient to medical attention (5). Treatment of the primary tumor has been reported to improve the paraneoplastic symptoms (6). Primary neoplasms related to systemic disease that may present with vertigo include neurofibromatosis (NF)-2 and endolymphatic sac tumor. NF-2 is a genetic condition caused by errors in the structure of the tumor suppressor gene merlin, normally responsible for regulating the cell's actin cytoskeleton (7). The condition is characterized by vestibular schwannomas (Fig. 1). Although hearing loss is by far the most common presenting symptom, almost 10% of patients with NF-2 come to medical attention due to vertigo. Over half of patients with NF-2 have been reported to have skin tumors and over one-third have cafe-au-lait spots, more commonly associated with NF-1. In addition, over one-third have ocular manifestations, including juvenile posterior subcapsular lenticular opacities or juvenile cortical cataract (8). Endolymphatic sac tumors that may present with vertigo (9) are sometimes part of the clinical spectrum of von Hippel-Lindau disease, which is also characterized by hemangioblastomas of the CNS and retinal hemangioblastomas, renal-cell carcinoma, and pancreatic neuroendocrine tumors and pheochromocytomas, and is caused by a mutation of the VHL tumor suppressor gene. Proteins transcribed in response to hypoxia, including vascular endothelial growth factor, may be upregulated in patients with the disorder (10). FIGURE 1 Magnetic resonance image of a patient with bilateral vestibular neuromas consistent with neurofibromatosis-2. Some distant neoplasms are known to metastasize to the temporal bone, where they may cause vertigo. Tumors with primary sites in the breast, lung, stomach, kidney, prostate, and larynx have been found in the middle and inner ear (11). Such tumors have been reported to cause sudden cranial neuropathy, including eighth-nerve dysfunction (12,13), although it has not been shown that rapidly worsening cochlear or vestibular symptoms require a full metastatic workup. In addition, leukemic infiltrates can invade the temporal bone and otic capsule, causing a combination of unilateral hearing loss, vertigo, and facial nerve weakness. Degenerative causes for vertigo include idiopathic bilateral vestibular loss and central brainstem degenerative syndromes. In many cases, the presence or absence of CNS signs and symptoms alerts the clinician to the source of the problem. In all of the above-mentioned cases, the neurotologic examination will reveal nystagmus that usually beats in the direction of the uninvolved side, in addition to a variety of auditory, facial, and brainstem abnormalities, depending upon the site and extent of the lesion. What causes dizziness eith neuroendocrine carcinoma? What systemic diseases cause vestibular disease?